The last fortnight has not been without its challenges. Bad weather, stress and too much work has meant that I've been keeping myself busy around the house which at least has resulted in the garden looking better than ever. I was really looking for an excuse to get back out birding today though and would you believe it a Black Tern provided just such an opportunity. Found at Fendrod Lake sometime yesterday, the juvenile bird was still busy feeding this morning and was clearly visible before we'd even got out of the car. Initially sticking to the middle of the lake it was soon ranging more widely with periods of intense activity right along the shore. Sadly for me those periods always managed to coincide with my being on entirely the opposite side of the lake, a pattern repeated throughout our stay. Nevertheless we got some great views of the bird as it fed at an almost manic pace, continually swooping down to the waters surface to grab some juicy morsel or other. At times its behaviour closely resembled that of a Little Gull and even its plumage was not too dissimilar from certain individuals we've seen. Of course I'd love to show you a photo at this point but sadly even my record shots were of such poor quality that they didn't warrant anything more than consignment to the recycle bin. Instead I thought I'd crack out the pencils and have a go at sketching it instead. Bear in mind this is my first attempt at drawing a bird ever but I think you can just about make out what it is. 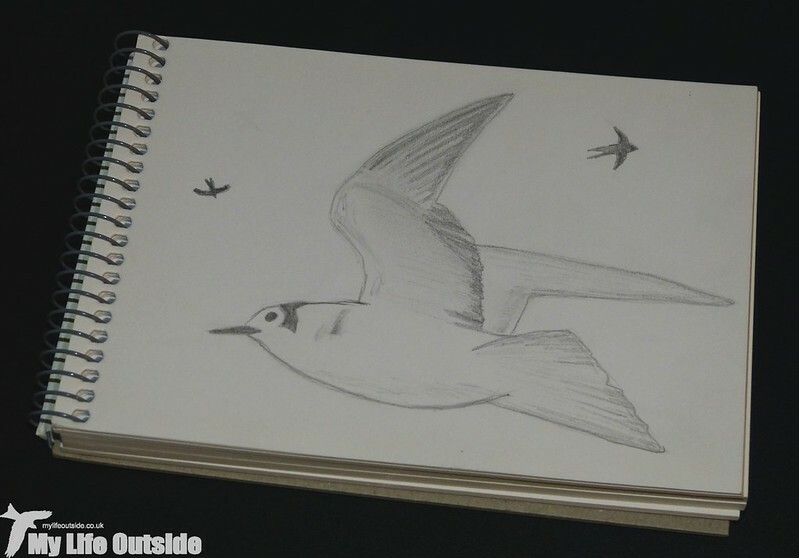 The inclusion of a couple of Swallows in the sketch was to remind myself that the Black Tern was far from alone on the lake. Swallows in particular were relatively numerous and on occasion seemed to want to chase the Tern off. This elicited a series of calls on both sides though none as fervent as when a Sparrowhawk put in a brief appearance. Also present were a couple of female Pintails amongst the usual rabble of Coots, Mute Swans, Mallards and assorted genetic mess-ups. 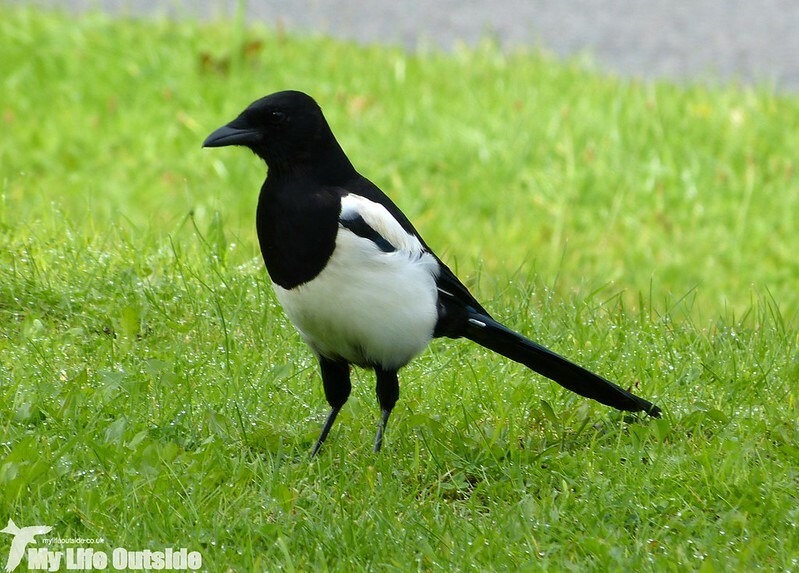 I also couldn't resist photographing the Magpie above, one of a pair exploring the car park area. For such a common bird they're surprisingly tricky to get on camera so I tend not to pass when an opportunity presents itself. Now if only the Black Tern had been quite so accommodating. Nice one Adam, the first of many sketches I hope. Love your sketch and the Magpie. Hello, the birds are not always cooperative. The Black Tern is on my wish list to see here too. I love your magpie shot. Have a happy week!